We fish a lot here in SW Montana. It is our lives. When we aren't rowing for dollars we're fishing for fun. Having a fly rod ready to fish is crucial to our daily routine and it is a huge P.I.A. to have anything janky when it comes to driving around with fly rods in/on our trucks. 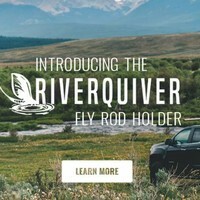 Enter the Riversmith Rod Quiver as the newest fly rod holder on the market worthy of a 'best in show' award from that fly fishing festival that everyone seems to go to except for us because we're too busy fishing. Riversmiths' timing for the launch of the River Quiver couldn't have been better as the market for this type of rod holder was ready to be blown wide open. We jumped on the opportunity of becoming one of the first Riversmith Rod Quiver dealers and here's why. For one, they aren't some overseas company just trying to make a buck on an unfulfilled niche. The guys at Riversmith are real anglers out of Boulder, Colorado that live and breath fly fishing. 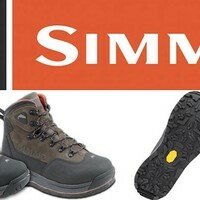 From our perspective, they are genuinely dedicated to the sport and appear to have all the prerequisites for delivering consistent customer service to anglers, guides, outfitters and fly fishing retailers like ourselves. At the end of the day, a good fly rod roof rack is one that protects your fly rods and doesn't fly off when you're driving down the highway. Riversmith has created exactly that and has proven to deliver product with no delay. They have our full support! What is the Riversmith Rod Quiver? 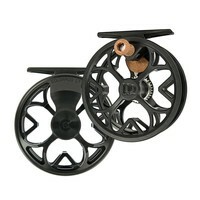 This premium rooftop fly rod holder is designed to be durable, lightweight and secure. Though I admittedly have no clue what makes 6063-T5 aluminum different than any other aluminum, the RiverQuiver rod tubes are noticeably rigid and light. They seem to be lighter than the old Titan Rod Vault. Riversmith has also included a custom liner in each rod tube to aid in sliding rods in and out. The liner protects the ferrules and guide wraps from damage if you're constantly driving on rough roads like we do here in SW Montana. This is a huge improvement in my opinion because the damage done to my fly rods in my rod vault was very frustrating. 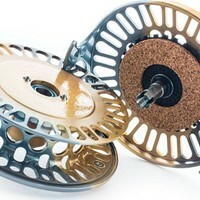 The lockable reel box on the River Quiver is a feature that has been well thought out by Riversmith. Rather than open in an up-down direction it opens out the side. This allows the rod holder be flipped upside down if your car's design doesn't allow you to have the reel box hanging downward. 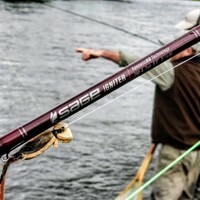 Finally, the River Quiver comes in 2-Banger and 4-Banger models. The 2-Banger stores two fly rods and is ideal for smaller cars or those that don't need to have more than two rods rigged at a time. The 4-Banger is basically two 2-Bangers with a larger reel box. 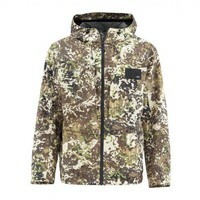 Serious anglers and guides have taken a particular liking to this capacity. 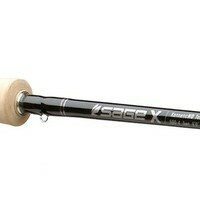 Both models hold single hand fly rods up to 10' and attach to most standard and aero roof rack bars. Upon receiving our first order of Riversmith Rod Quivers, we were pleasantly surprised how simple it is to put together. 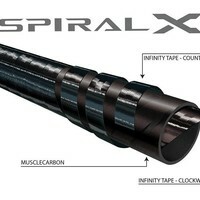 It comes with 2 sections of the rod tube broken down, a coupler to attach them together and a T-Stud mount kit. The T-Studs on the mounts slide into a T-Groove and allow for maximum versatility of placement on your rack solution. Get those mounts in the T-Groove, use some simple tools to attach the coupler and you're done. Mounting the rod holder on your car is also just as simple. Put the mounts on your roof rack, slide the rod holder where you want to place it and ratchet it down! Why do you need a Riversmith River Quiver? Scientific studies have shown that if you have fully rigged fly rods on top of your car, you will fish more. Think about how long it takes you to rig up a broken down fly rod? 10? 15 minutes? Longer if it is freezing cold or you're rigging up some crazy nymph contraption. With the River Quiver rod holder, you park the car, open it up and go. 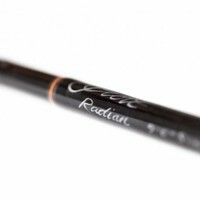 With the 2-banger you could have a streamer rod and dry fly rod ready to fish. With the 4-banger you could have a streamer rod, dry fly rod, nymph rod and a little creek rod ready to fish. 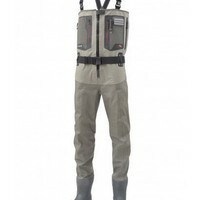 With the River Quiver...you're always ready to fish. Some of your might be saying, "Oh, I could easily build one of these and save a few hundred bucks". Good luck. We see quite a few DIY fly rod holders roll through town and most of them have PVC pipes drooping over the windshield with some rusty ammo box storing the reels. Not to mention, one of these creations is bound to fly off a truck at some point! We're all for DIY around here at MRFC, but trust us, spend the dough on something that looks good and has a warranty to back it. You'll thank us for that advice. Your significant other though, may or may not be so pleased that you have a new excuse to fish more. Where Can I Get a Riversmith River Quiver? You're in luck! We're a dealer. We've got the 2-Banger and 4-Banger in stock. Check them out here.